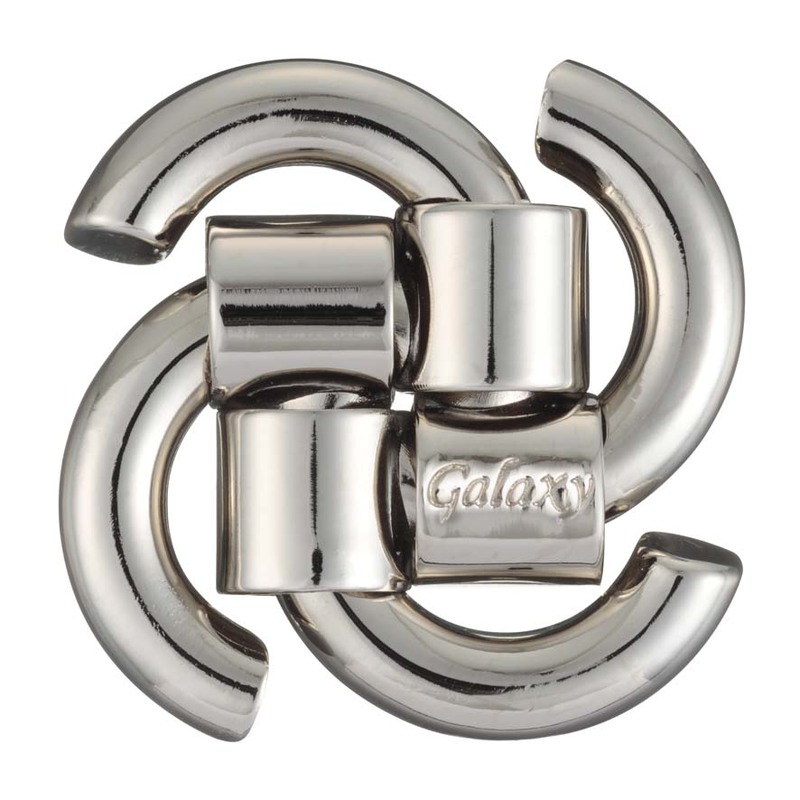 Like the swirling shape of the galaxy…that is why this puzzle was named Galaxy. It is not that difficult to solve but one becomes totally mesmerized by the pieces that move freely. It is more difficult to put them back together then to take them apart. Take a good look at how the pieces move when taking them apart so you can put them back together again. Theme: Knot. Designed by: Akira Yuta from Japan. 2013 Puzzle Design Competition Jury Honorable Mention. Level 3/6. Package size: 7,5 cm x 11,5 cm x 4,5 cm. This product was added to our catalog on 20.11.2014.